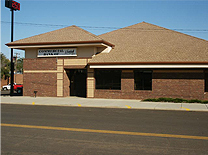 Since 1940 the Commercial Bank of Mott has been a part of this community and has grown with the needs of our customers with full array of traditional banking services including leading edge technology and friendly service. There’s something special about banking with the Commercial Bank of Mott. Maybe it’s the fact that our employees are your neighbors -- people who live in your community and know your name. Maybe it’s the fact that we offer most of the services of a big bank, but don’t act like one. Now, to continue to grow with the needs of our customers, and leading edge technology we bring you another service in access and convenience with our online banking. We want your banking experience with us to be easy whether online or in person. Today with online banking, more than ever, your account information is available around the clock. We think you will enjoy and like our online banking. It’s safe and convenient. call us at 701-824-2593 or stop in and visit with any of our employees. or call our Debit Card Service Provider at 1-800-554-8969.